Strong, energetic, intelligent and fearless, the Doberman Pinscher is a loyal canine companion that requires and deserves good, delicious, nutrient dense foods. This breed is prone to certain health problems if the owner is not very careful with his or her pet’s lifestyle, so the importance of good dog food choice cannot be overstated. To keep your Dobermann healthy and happy, you need to provide him with all the nutrients he needs, including protein, healthy fats and carbs, vitamins and minerals. To help you do that, we’ve compared and tested dozens of different canine foods, coming up with the list of the best dog foods for Dobermans. Take a look and pick the right product for your regal canine pet. 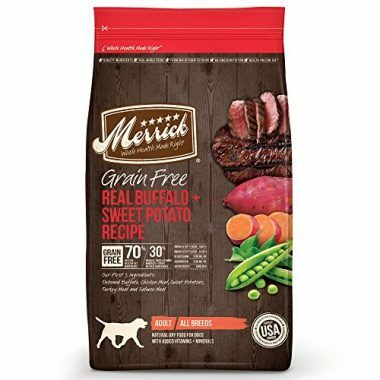 Full of protein, healthy fats and fiber, Merrick’s grain-free dog food contains real deboned buffalo meat along with healthy sweet potatoes and other produce. Rich in omega-6 and omega-3 fatty acids that not only boost your dog’s immune system and overall well-being, but improve the appearance and feel of his coat, this dog food will have your Doberman look and feel great. The product contains no wheat, soy, corn or any gluten ingredients which makes it perfect for dogs with grain allergies and sensitive stomachs. 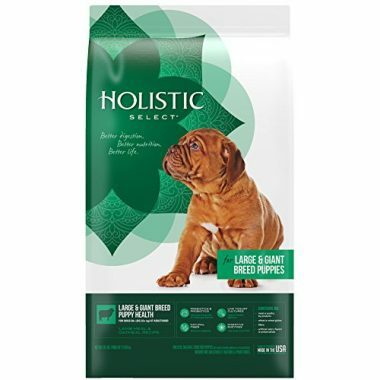 This is an easily digestible, highly palatable dog food that also contains glucosamine and chondroitin - ingredients known to help with joint and muscle pain. It’s made in the USA, in the Merric’s organically certified kitchens, so the quality is guaranteed. 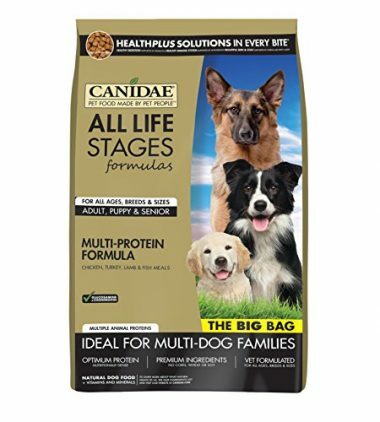 A nutritionally dense formula with high-quality ingredients that is suitable for all life stages of a Doberman (or any dog breed for that matter), the Canidae is the ideal choice for pet parents who own multiple dogs. Containing chicken, turkey, lamb and fish meals, this dry dog food has optimum protein for muscle development and support. Vet-formulated, it contains no wheat, corn or soy, which makes it a great choice for canines sensitive to grains. Furthermore, it has no chicken by-product, only real meat and wholesome ingredients. To be nutritionally complete, the Canidae dog food is fortified with vitamins and minerals, as well as probiotics. Additionally, it contains naturally occurring glucosamine and chondroitin which are good for bone and cartilage health. 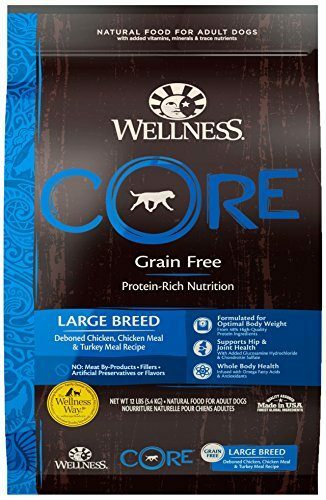 If you’re looking for nutritionally complete, calorie-dense food packed with natural and healthy ingredients, check out the Wellness Core’s grain-free dry dog food. With chicken and turkey, spinach and flaxseed, this particular dog food is highly rich in protein, healthy fats, fiber and omega-3 fatty acids. It’s also fortified with important vitamins and minerals, as well as probiotics, meaning it’s excellent for improving your Doberman’s overall health and digestion. The Wellness Core dog food contains no grain, meat by-products, artificial preservatives or flavors, so it’s a perfect choice for all pet parents who want their dog’s diet to be as healthy as possible. And if your dog has bone or muscle pain, know that there are glucosamine and chondroitin added in this kibble. If you are looking for some high-quality dog food for your Doberman, look no further than the Castor & Pollux. 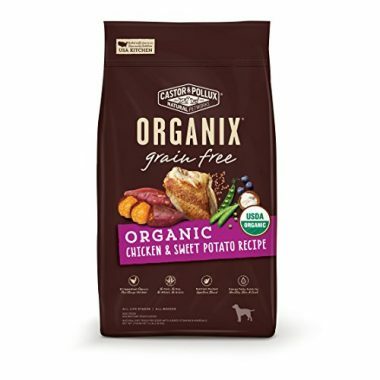 This particular dry dog food contains organic chicken as its #1 ingredient, as well as some sweet potatoes and a blend of healthy, organic foods such as flaxseed, blueberries and coconut oil. A feast for your Doberman, for sure! There are no artificial preservatives, flavors or colors, and since everything is made of organic ingredients, you can also relax about added growth hormones, antibiotics and pesticides – the Castor & Pollux contains none of that. It does, however, contain essential fatty acids, a hefty amount of fiber and added vitamins and minerals. There are also Glucosamine and Chondroitin Sulfate present, which is great news for your Doberman’s bones and muscles. 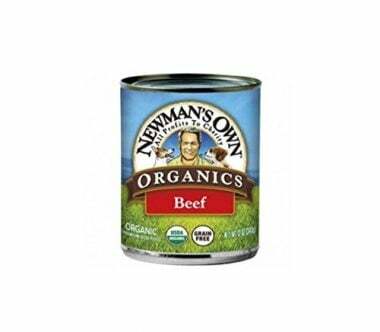 One of the best cheap dog foods for Dobermans, the Newman’s Own canned food is mostly made from organic ingredients (a whopping 95%), with organic beef being the first on the list. There is no grain present in this wet dog food, so if your Doberman is allergic to wheat or corn, this may be a good choice. You’ll also be pleased to know this formula contains no artificial flavors, colors or preservatives. With moderate amounts of protein and low levels of fat, this dog food is particularly beneficial for pets who need to keep an eye on their weight. 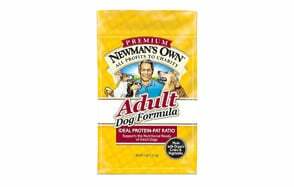 To make the meal nutritionally complete, the Newman’s Own has added vitamins and minerals, including vitamins D3, B12, A, and E, as well as calcium, potassium, manganese, zinc and others. Premium dog food on a budget? 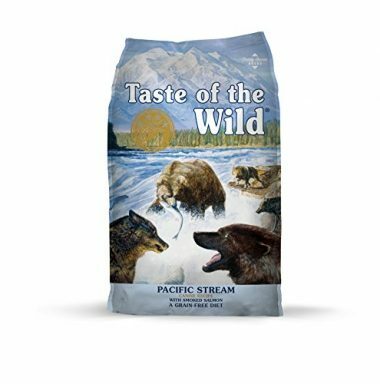 Yes, the Taste of the Wild has got you covered with its Pacific Stream Canine Formula that is packed with protein, healthy fats and probiotics. This is a fish-protein and grain-free kibble that tastes absolutely delicious in dog-terms. Made of smoked salmon and supplemented with various vegetables and fruits, this formula is rich in omega-3 and omega-6 fatty acids, as well as in various antioxidants, which is all fantastic news for your Doberman’s well-being and coat. Besides high-quality fish, you can find sweet potatoes and peas here, tomatoes, blueberries and rasperries, as well as a few added vitamins and minerals. The added probiotics and dried chicory root up the fiber content and make this dog food highly digestible. In need of super-healthy, delicious Doberman dog food? Give AvoDerm’s formula a try. This kibble contains chicken meal, brown rice and California avocados for that healthy fat content and savory taste. 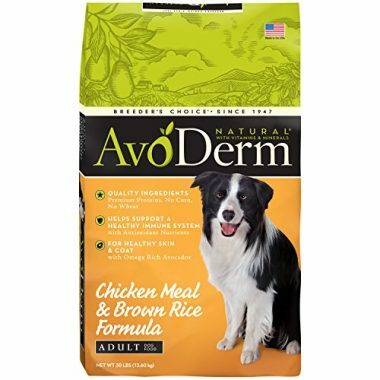 Crafted for adult dogs, the AvoDerm’s food is rich in protein and quality fats with a balanced omega-6 to omega-3 fatty acid ratio. Brown rice, oatmeal, flaxseed, kelp meal and other natural ingredients add to the fiber content and ensure high levels of antioxidants, so important for the Doberman’s overall health. The formula is also enriched with a few vitamins and minerals, but contains no artificial colors. Also, you’ll find no corn, wheat or soy here. And finally, this dog food is made of dry food ingredients that come from USA, Canada, New Zealand or France, so the quality is guaranteed. 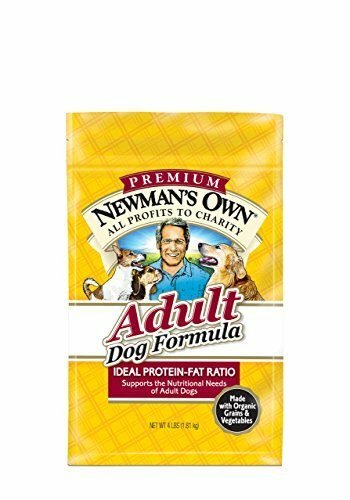 Another dog food formula by Newman’s Own, but this one dry and made from chicken and organic brown rice. With a healthy blend of proteins, fats and whole grains, this kibble contains a great protein-fat ratio that supports the nutritional needs of any dog breed, including the energetic Doberman. There are no artificial flavors, colors or preservatives here, so you can be sure of the quality of the product. Furthermore, the formula is free from wheat and corn, but does contain organic soybean meal, along with organic barley, millet, rice, flaxseed, sorghum and carrots. To provide a complete nutritional meal, the product is also enriched with vitamins and minerals. If you have a Doberman puppy, you need to feed him the finest, most nutritionally-dense ingredients so he can properly develop and grow into a strong, capable canine. That’s where he Holistic Select’s formula can help. Packed with protein, healthy fats and loads of probiotics and prebiotics, this dog food is one best foods for Doberman puppy. The formula contains lamb and chicken meal, salmon oil and whole grains such as oatmeal, brown rice, barley, as well as flaxseed, apples, blueberries, papayas, pomegranates and other healthy, wholesome ingredients. It’s also fortified with various vitamins and minerals and contains many natural fibers, digestive enzymes and botanicals. Importantly, there are no artificial flavors, colors and other fillers, and the formula is wheat-free. All in all, a perfect Doberman puppy food! Like humans, dogs require proper nutrition to be healthy and happy. But Dobermans in particular, the very active and muscular breed that they are, require special nutrition, with a balanced ratio of protein, fat and carbohydrates. All nine dog foods we reviewed above check the right boxes and then some, so it should be easy to pick the right dog food for your Doberman. And if it isn’t, this buying guide should be able to help. Here, we cover everything you need to know in order to pick the best dog food for Dobermans. We also answer some of the commonly asked questions, in the hope the answers further assist you in your purchase. So read on, inform yourself, and get your Doberman the food he deserves. To get the best dog food for your Doberman, it’s crucial to know what to look for. So what does a good Doberman food look like? 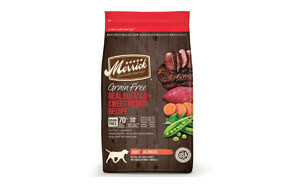 First of all, you want to look for dog foods consisting of real, natural, nutritious ingredients, such as real meat, healthy fats, fish, whole grains if your pup can tolerate them, and some fruits and veggies for a complete nutritional profile, including vitamins, minerals and antioxidants. It’s good when the food is also fortified with additional vitamins and minerals, such as with vitamins D3, A, C, B, zinc, calcium, magnesium, manganese and others. Good food for Dobermans should have real meat listed as its first ingredient. This can be whole meat, such as beef or chicken, or meat meal, as both of these have plenty of protein and important amino acids. Healthy fats should always be a part of a good dog diet. Look for ingredients such as salmon oil (excellent for the Doberman’s coat! ), coconut oil, flaxseed oil, avocados, but also chicken fat and beef fat. Basically, your Doberman, whether a puppy or an adult dog, needs a hefty amount of omega-3 and omega-6 fatty acids to be healthy. Fish is always a nice addition to a dog’s diet. Rich in healthy omega-3 fatty acids and packed with protein, fish will boost your Doberman’s health and improve the look of his coat. Fish ingredients to look for are whole salmon, smoked salmon, herring, walleye and other shorter-lived species that contain minimal amounts of heavy metals. If your Doberman can tolerate grains, make sure you include some in his diet, as they are rich in fiber and excellent for digestion. Look for brown rice, oats, millet, barley and other healthy whole grains. As mentioned, Dobermans are energetic and can grow up to be really big canines, and as such, their calorie intake should be slightly higher than the intake of a typical dog. Of course, this entirely depends on the size and weight of your Doberman, as well as his activity levels, but generally speaking, Dobermans should eat calorie-dense diets. And then there are Doberman’s health problems to consider. Because they’re prone to bloat, allergies, kidney disease, Wobbler’s syndrome, hypoglycemia and hypothyroidism among other things, it’s important to feed give them only high-quality foods that will support their immune systems and wellbeing, and not add to potential underlying health issues. Dobermans need lots of protein, but then again, not too much. Because they’re quite energetic and active, they tend to thrive on high protein dog food – for adult dogs, that’s anywhere between 15% – 30% of protein, while for puppies, it’s between 22% to 32%. And the more your dog is active, the more protein she needs. However, and this is a big however, Dobermans are also prone to kidney disease. As you know, eating too much protein worsens the condition, so it’s important not to go overboard with meat and other protein-rich foods. To be sure you’re feeding your Doberman the right amount of protein, it’s best to talk to your vet. Like most canines, Dobermans too require quite a bit of fat in their diet. Granted, they don’t have long hair so you may not be able to see how a lack of healthy fats affects the look of their coat immediately. Nevertheless, their coats are prone to drying out, so it’s important they have enough of good fats in their diet, omega -3 and omega-6 fatty acids included. 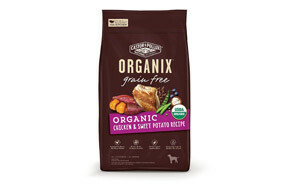 Because they’re prone to hypoglycemia and hypothyroidism, it’s vital to feed your Doberman good, complex carbohydrates. As we already mentioned, whole grains are an excellent choice if your dog is not sensitive to grains, but even if she is, slow-burning fruits and veggies can take their place. In fact, even if your Doberman is eating dog food rich in healthy, whole grains, it’s always a good idea to look for vegetables and fruits as ingredients as well. Although strong and energetic, Dobermans are sensitive canines who should only be fed the best foods. Meat by-products are not one of them. These ingredients can sometimes be ok, but sometimes anything but ok – the point is, with meat by-products your never know, so it’s best not to risk. Sometimes the meat can be whole meat (highly unlikely though), but most often than not, it’s just remains from the slaughterhouse, including brains, chicken feet, intestines, blood, etc. Although dog food must stay fresh and safe for as long as possible, it’s best to avoid artificial preservatives such as BHT and Ethoxyquin, as these ingredients can irritate sensitive stomachs and immune systems of Dobermans. Some added flavors can make the dog food more appetizing to your Doberman, but it’s still best to avoid artificial… well, anything. Because they’re prone to quite a few health issues and allergies, Dobes should ideally stick to natural, wholesome foods. Whole grains, veggies and fruits are welcome in dog food, but wheat, corn and other gluten fillers? Not really. In fact, it’s wise to avoid these ingredients as they add nothing of value to your Doberman’s diet, except for calories. Not to mention, if your pup has a gluten allergy or just a sensitive stomach, these low-quality fillers can aggravate her symptoms. Q: What should I know about Doberman puppies? A: Like all young pups, Doberman puppies require special care and attention. To put it mildly, they’re lively and rambunctious, so they require daily exercise and play. If they’re not exercised daily, they may become irritated and too mischievous, so make sure you spend some quality time with your puppy every day. Like adult Dobermans, puppies are also highly intelligent, loyal and trainable, so make a point of spending some time honing their skills and adjusting their temperament to suit your and your family’s needs every or every other day. Don’t forget to provide enough socialization for your Doberman puppy too, who, if not exposed to people and other animals early, can become aggressive or too shy towards and around strangers. And finally, don’ forget about your puppy’s diet. Dobermans are prone to certain health issues (see above), so it’s vital to give them healthy, nutritious dog food only. Q: How often should I feed my Doberman? A: Because they’re prone to bloat, Dobermans should be fed small meals several times throughout the day. If you have a puppy, feed him three times a day, and if you have an adult Doberman, give him two to three (top) meals a day. Q: How much should I feed my Doberman? Puppies should be fed three times a day and according to the instructions provided on the label of the product. Of course, it’s always best to talk to your vet, but generally speaking, Dobe puppies who get average physical activity should eat around 25% protein and around 15% healthy fats. As for adult dogs, they should be fed 2-3 times a day, small portions. You can follow the similar guidelines here as well, but the more active a Doberman is, the more protein and fat he can have.